When it comes to summer pieces, the more bang for your buck the better. When it's too hot to fathom putting on a blouse, intricate dresses do just the trick. 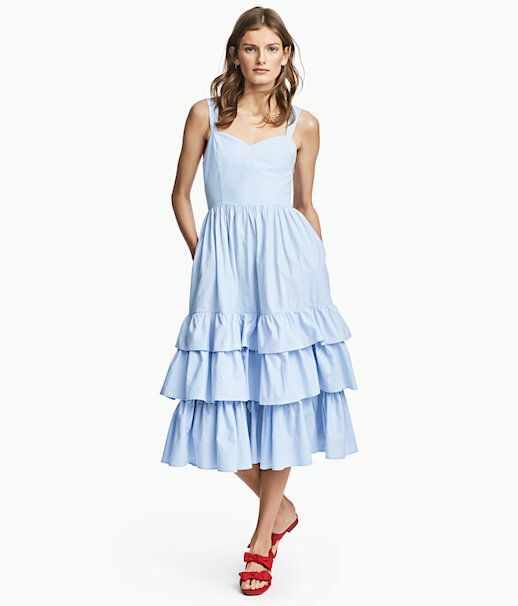 This gorgeous pale blue ruffled dress is from H&M. And for $70 dollars, it doesn't get much better than this. Pair this standout piece with mules, stewpot wedges or a comfortable but stylish flat and you're ready to go.